Pinewood Studios continues to invest in its facilities and the latest offering for clients is a brand new, state of the art facility for both film and television production. 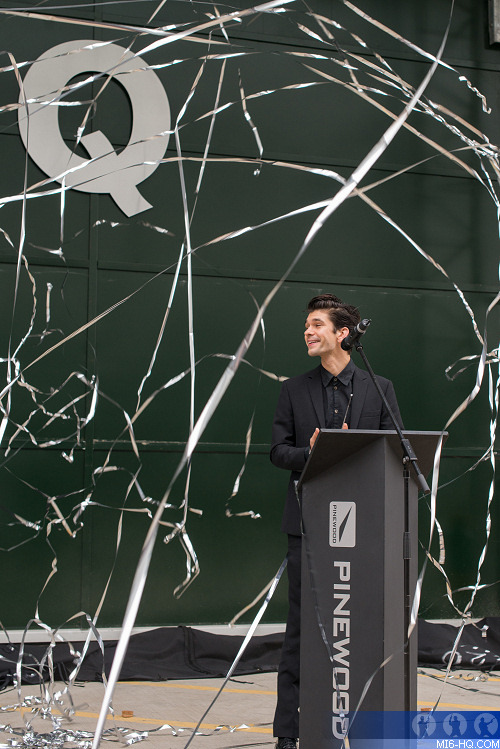 The new stage is named ‘Q Stage’ and was formally opened by Ben Whishaw, the latest actor to play the famous Q character in the Bond franchise. The development comprises a 30,000 sq ft stage and 15,000 sq ft of production accommodation and workshops. 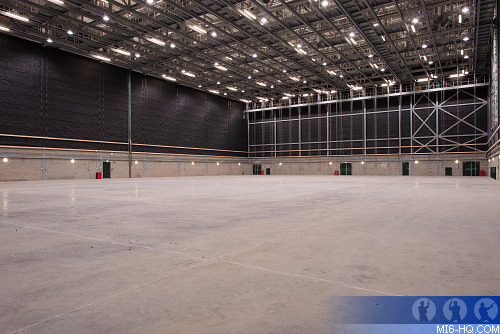 Pinewood’s newest stage was completed on 27 September 2013 and the first production to move in is a large, inward investment film. It follows a similar model to Pinewood’s Richard Attenborough Stage, which opened in 2011 and has already hosted films including Les Miserables, Jack Ryan and Ridley Scott’s new production, Exodus, as well as TV shows like Chris Moyles’ Love Machine and the most recent series of The Voice. After some opening remarks from Andrew Smith, Director of Strategy and Communications, Pinewood Shepperton, Ben officially declared the new stage open and unveiled the new Q Stage sign with a specially designed gadget made by Pinewood based prop specialists, PropShop. The producers of the Bond films Barbara Broccoli and Michael G. Wilson were in attendance and their presence and the name of the new stage continues Pinewood’s longstanding relationship with the most successful film franchise of all time. Other Pinewood landmarks include the 007 Stage, 007 Drive, Goldfinger Avenue and Broccoli Road. Andrew Smith commented: "We are thrilled that Ben took time out of his busy schedule to formally open ‘Q’ Stage. Pinewood continues to invest in its infrastructure to ensure it offers all types of production the most state of the art, secure and flexible stages possible. It is even more special to have Barbara Broccoli and Michael Wilson here to help celebrate and it underlines the very special relationship Pinewood and EON Productions enjoy."